The perfect subwoofer choice for those with space restrictions. The Seismix 1 will enrich you home theatre experience whether you have a small room, or you just don't wish to dedicate the floor space to accommodate a larger speaker. 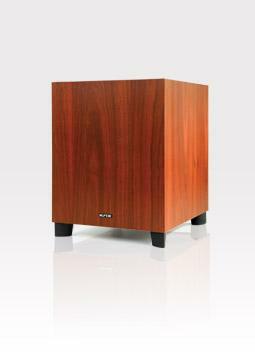 The Seismix 1 uses a 150 watt in-built amplifier, matched to a downward firing 200mm bass driver and vent, with the cabinet raised off the floor via specially moulded rubber feet. Simple and effective styling ensures that the Seismix 1 can be placed almost anywhere in your room, including custom joinery to deliver a small space, big bass experience. If you?re in the market for a subwoofer ? any subwoofer ? I?d recommend you audition the Seismix 1 mk3 just to hear how far subwoofer technology has advanced in recent years (driver development as well as amplifier development) and so you can see its superior build quality, which I find amazing. Bass and midrange Nominal 200mm (8?) diameter doped paper cone driver, 38mm (1.5") voice coil wound on high powered aluminium former, with vented magnet assembly.